Hiring an Executive Minibus can be an affordable way to transport large groups, especially when the alternative is the less reliable method of public transportation or a taxi service. An Executive Minibus can also be ideal to maintain privacy on your journey. But unlike public transportation, you can decide your own itinerary and where we stop, whether it’s multiple business meetings or pickups and drop-offs. And what’s more, you’ll be whisked to your destination in style and comfort. You may have multiple business meetings to attend in one day, or you may want to take your team with you to an important meeting. Either way, public transport or a taxi won’t cut it. An Executive Minibus is ideal for these situations. You can decide where to stop and how long for, without worrying about the meter or how to get to your meeting from public transportation. We’ll ensure you arrive on time by planning ahead and avoiding traffic. Our minibuses can accommodate for large teams of 16. You may need to hire an Executive Coach for a business trip such as a conference. Or you may be hosting a business event such as a teambuilder day or a corporate away day. Hiring an Executive Minibus is therefore ideal to transport large groups for your trip, event or day. You’ll be able to bond onboard as we drive. Plus everyone will arrive at the exact same time, rather than having to wait for employees to arrive in dribs and drabs before you can get started. 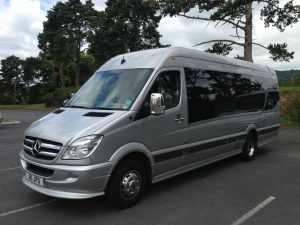 We also offer Executive Minibuses for larger parties who want to travel together for a day out or a sporting event for both private and corporate parties. Rather than relying on public transport or worrying about parking, we’ll transport your group to the venue and even pick you up after the event. Sporting events could include a day at the races or a trip to Wimbledon. Airport Transfers from Leicestershire and the surrounding areas to any major UK airport is ideal for large groups travelling for private or business purposes. 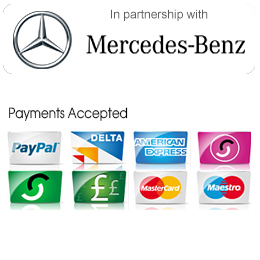 Rather than ordering a range of taxis for your transfer you can arrive all at once and on-time for your flight. You’ll benefit from our monitoring service, which checks flight delays and cancellations whether we’re picking you up or dropping you off we’ll be there for you. We also offer a meet and greet service, so if you’re expecting a large party of clients or family and friends we’ll be there to pick them up and their luggage too. Railway Transfers from Leicestershire and the surrounding areas to any East Midlands railway station is ideal for large groups both private and business who want to travel together rather than in a range of separate taxis and vehicles. You’ll also benefit from being able to leave when you want, arrange your preferred pickup point and not be delayed by dreaded leaves on the line. 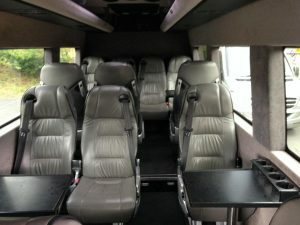 Executive Minibus hire is ideal for parties including hen, stag and children’s. We’ll transport groups of up to 16 your event or destination. You can enjoy travelling together and getting the party started in our executive vehicles. Large wedding parties such as bridesmaids, or special guests may want to travel together in one vehicle, rather than a series of vehicles. We’ll ensure you’ll get to the church or your venue on time, with our Wedding Minibus Hire. To book your Executive Minibus Hire fill out our online booking form. And if you have any enquiries, please get in touch by completing the contact form online. Or contact us by phone or email for a no obligation chat.